Hello everyone! I'm officially back into the flow of things. I will be commenting, replying, and planning ahead! Starting tomorrow. Okay nah, but I didn't know what to post again, but I figured it out! 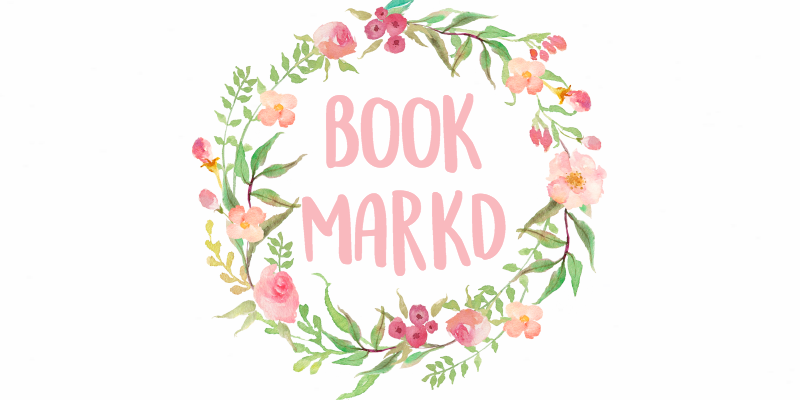 I haven't done a Blogging Advice post in forever so here it is. The Don't of Blogging!! 1. Over promoting in the comments section. Remember in my last Blogging Advice post when I talked about commenting? And then I talked about promoting? "Nice post. Hey, I think you missed my recent post, go check it out and leave a comment!" MY BLOG IS NOT A BILLBOARD. Go do your extravagant promoting somewhere else buddy. ﻿How hard was it to read that, huh? Teeny tiny letters aren't that great either. Way too big or small and extremely hard to read. I don't think anyone would want to read a blog like that. Who cares if you have 4 followers or 400 followers, well you shouldn't! Blog for happiness, not for fame. Sure, it's awesome to have 400 followers, but it doesn't really matter, as long as you're having fun! 4. Blogging about something just because it'll make your blog popular. 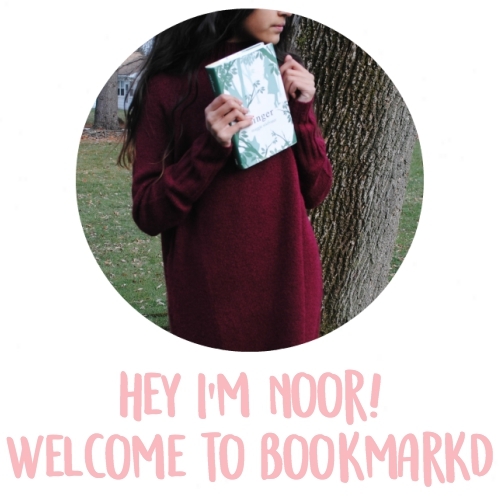 NOOR STOP WITH THIS, WE GET IT, OKAY, CHILL. I'm sorry! But I can't stress this point enough, BE YOURSELF. We all want to see the real you, because I'm sure it is better than copying someone else. Because you can. "I can't be as popular as that blogger", well make that your biggest goal and work your hardest to get there, and you can. "I can't blog anymore, it is too hard." Blog at your own pace, blogging is supposed to be fun. 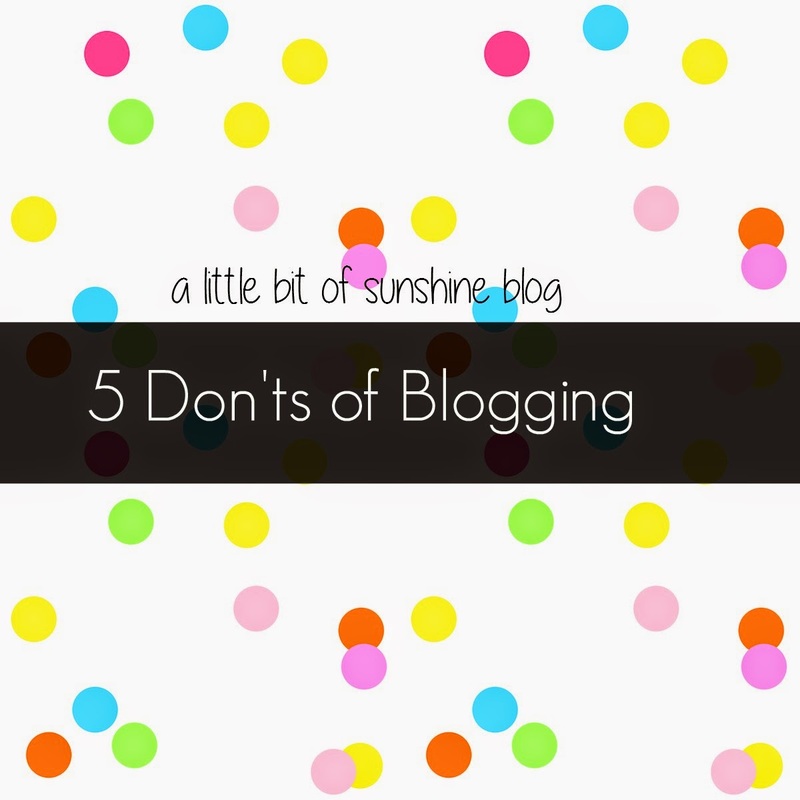 What are your blogging "don'ts"? Thanks Amy! I did the same thing, and it made me much happier with my blogging! Yeah, same :( Thanks for commenting Morning! Thank you Yasimone, I appreciate it, you just made my day!! This is true! Especially promoting it. I hate it when someone will leave a comment on a post of mine being like, "Hey! Love this! Please follow my blog and comment frequently!" And then suddenly you realize they say that in every single comment they comment. It's very annoying. It is very annoying! Thanks for commenting Oakstar!! Thanks Jerneja! I'm glad you enjoyed! It is very annoying!! Thank you so much for commenting!! So true! Really great points! Thanks Meme, I'm glad you learned something! I really dislike those promotional comments, it makes me feel like if they didn't even bother to read my post and they just scrolled all the way down to write something like: "Lovely post! Check up my recent post :) ... Follow for follow?" Amazing advice girl!! !So helpful,thank you so much!